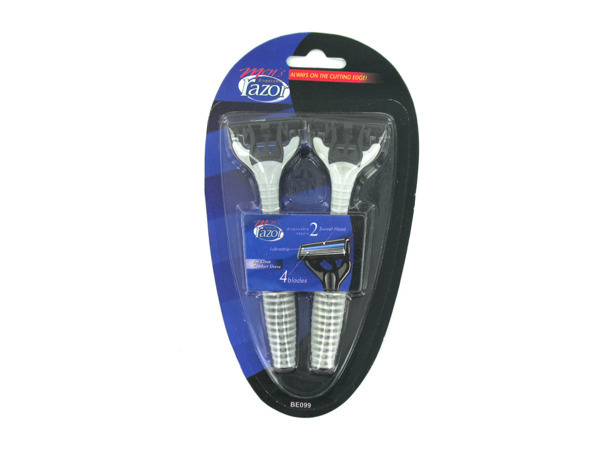 Perfect for a close and comfortable shave, this 2-piece Men's Quadruple Blade Disposable Razors Set features pivoted heads with lubricating strips. Each razor measures approximately 5 1/4" long with a 1 1/2" wide razor head. Comes packaged in a blister pack.